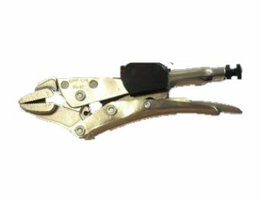 Grip-on® is a company with more than 35 years of experience solving tightening problems by designing, patenting and manufacturing top quality locking pliers & clamps, reaching high customer satisfaction. One of the hallmarks of Grip-on’s ability to offer diversity and originality is our constant focus on research and development. Having constantly invested in the most advanced Computer Aided Design Technology we are able to realise detailed and precise technical drawings in 3D and perform Finite Element Analyses to test and develop a multitude of problem-solving ideas to meet the changing demands of the industries we serve.